This story originally appeared on June 5, 2013. The jet fighter suddenly appears directly overhead, twin engines roaring, landing gear dangling like claws, diamond-shaped wings tracing an impressive black silhouette against the grayish sky. The airplane, displaying the red-star insignia of the Chinese People’s Liberation Army, whips past and disappears beyond the opposite horizon. In its wake, there is only the gray sky — and the excited chatter of a cameraman and the other airplane aficionados huddled around him. “The wind was strong!” someone says in the local Sichuan dialect, referring to the blast from the fighter’s engines. They laugh nervously, clearly appreciating that they’ve just witnessed, and recorded, something remarkable: the second-ever test flight of the Chinese military’s very first stealth fighter prototype — the J-20, an advanced “fifth-generation” warplane that some experts say could rival America’s latest F-22 and F-35 stealth fighters — on the outskirts of Chengdu, an industrial city of 14 million in central China. But the most remarkable thing is what would happen in the hours following the April 17, 2011 flight: the cameraman, using the handle “Star Not,” uploaded his video to Youku, a Chinese YouTube clone that is closely monitored by the Chinese government. The video itself was nothing special. But the fact that it didn’t immediately disappear, yanked from the server by a vigilant censor, was. Along with several others taken from the same spot at the same time, the video quickly went viral. The same day, Web users all over the world snatched the Youku videos and uploaded them to other video-sharing sites, including YouTube. Thousands of people on almost every continent shared a detailed glimpse, however brief, of what until recently had been the Chinese air force’s greatest secret. 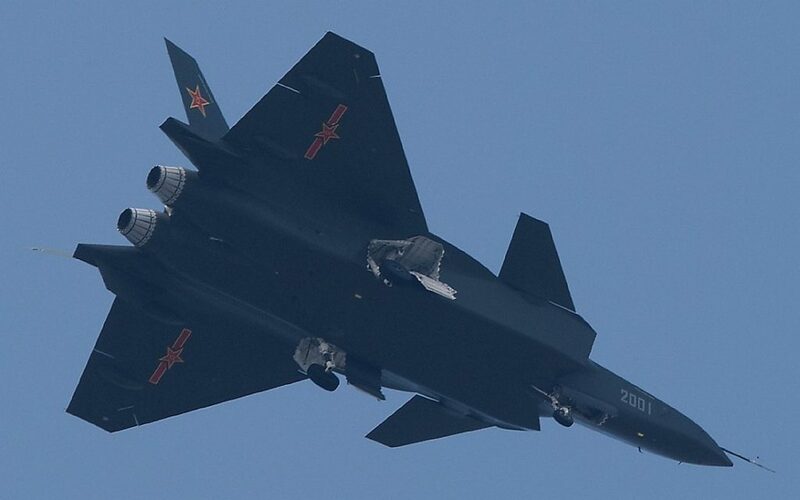 The first grainy photos and fragmentary videos of the J-20 in flight had appeared three months earlier. But many of those images were the military-industrial equivalent of the 1967 amateur film that purported to show Bigfoot strolling through a California forest. In other words, implausible. Western analysts and reporters had heard rumors of a warplane called the J-20. But almost all of China’s warplane designs to date were poor copies of older Russian planes — and most observers believed the J-20 would be the same middling stuff. Absent firmer proof, it was easiest to dismiss the jet in those early snapshots as the product of someone’s imagination and Photoshop. But Star Not’s video was undeniably authentic, and therefore ideal fodder for an online audience hungry for information about the new warplane from the world’s fastest-growing military power, which in the video looked impressive. The same audience devours rumors about, and photos of, Chinese unmanned aerial vehicles, ballistic missiles, helicopters, armored vehicles, submarines, and, most famously, the PLA’s first aircraft carrier, which sailed on its debut voyage in July. But there’s a more serious side to the online audience. Besides millions of everyday Chinese, visitors to China’s military forums include Western journalists, U.S. congressional staffers, Beltway think tank analysts, and other members of the American policymaking machine. The forums rarely include highly detailed specs. That kind of technical data is beyond the reach of mere observers. Nevertheless, U.S. intelligence agents use information they find on the forums to supplement the more specialized data provided by satellites, spy planes, and foreign turncoats. “It always is preferable to obtain information this way than clandestinely, given that it is cheaper and less hazardous,” says Paul Pillar, a 28-year veteran of the CIA, who now teaches at Georgetown University in Washington, D.C. The policy and intelligence communities even have a name for the practice: open-source intelligence. It’s a practice with roots in the Cold War, when journalist Andrew Cockburn interviewed Soviet émigrés about Moscow’s weaponry and strategy to produce the influential 1983 book The Threat: Inside the Soviet Military Machine. Until recently, open-source intel was conducted by government outsiders, like Cockburn, who were trying to make educated assessments of foreign powers. That is changing, says Michael D’Alessandro, a physician who, since 2000, has been aggregating information about the world’s navies on his website, Naval Open Source Intelligence. “With the advent of the Internet and the new generation of intelligence analysts who are ‘digital natives,’ [open-source intel] is now gaining greater traction in the intelligence community,” D’Alessandro says. Star Not’s video marked a signature moment for a largely anonymous group of Chinese Internet users, living in China and abroad, who are exerting growing yet apparently unintentional influence on what is shaping up to be the defining strategic rivalry of the early 21st century. Web-savvy amateur weapons enthusiasts have become China’s accidental spies, passing valuable intelligence to foreign audiences through Internet gossip. But these spies might be double agents, whether they know it (and some do: they are paid by the government for posting recent sightings) or not. “Drip-by-drip revelations are apparently condoned or even encouraged by the PLA,” Rick Fisher, a senior fellow at the Virginia-based International Assessment and Strategy Center, told Aviation Week, a respected trade publication based in Washington, D.C.
Why would the PLA encourage information leaks? The answer could lie, on the one hand, in Beijing’s deep tradition of state secrecy and its ongoing effort to control the supposedly uncontrollable Internet. And, on the other, in the world’s growing demands for more information on the rapidly expanding Chinese military, as well as the assumption that all information will somehow appear on the Internet. The forumers could be the best people to help Beijing bridge the gap between these positions. China has no fewer than 500 million Internet users, according to Google — the most of any nation. The numbers for social media, including blogs, video-sharing sites, and message forums are even more impressive. The forums alone claim more than a billion members, though many forumers use more than one account. “China’s digital footprint is massive,” writes Brian Solis, an analyst with the Altimeter Group in San Mateo, California. But Chinese Web content is heavily censored — or “harmonized,” to use the Chinese term. All of the country’s Internet traffic routes through a central server farm, where “Golden Shield,” a $700-million program designed with help from the U.S. firm Cisco, checks URLs against a list of banned Web pages tens of thousands of entries long. On that list: Facebook, YouTube, Voice of America, BBC News. To supplement the Golden Shield, an army of censors working for the Public Security Bureau scours blogs and other social media sites, yanking any material considered politically sensitive. The censors pay close attention to any Web content describing Chinese military capabilities. Many countries have active Internet-based communities of military-hardware aficionados. These enthusiasts include “plane spotters” and their non-aerospace kin, who photograph and videotape warplanes and other weaponry (warships, ground vehicles) from outside bases’ security fences; so-called milbloggers (online diarists who might be active-duty military personnel, veterans, or simply war-obsessed civilians); armchair analysts who process the visual and anecdotal data from the photographers and bloggers into commentary on all things military; and online journalists who skim the best of all these sources for their stories. In the United States, with its dizzying media diversity, the online war-nerd community is anchored by a wide range of professional news sites. China, with its state-controlled media, has few professional military-news websites. Instead, Chinese war nerds anonymously post photos, news, and rumors to their own password-protected forums, which are widely seen as relatively safe from harmonization. In the perceived safety of their virtual salons, Chinese military forumers add their voices to a vast, noisy, chaotic conversation about the PLA’s latest weapons, tactics, and grand strategy. It’s a conversation with many eavesdroppers. The forumers’ “biggest role in this community appears to be supplying firsthand photos and rumors related to the latest developments in the PLA,” says “John,” a 29-year-old Chinese American contributor to the popular China-Defense forum. Photos, videos, and gossip posted to the forums can feed directly into the complex U.S. intelligence machinery, via Chinese-speaking U.S. government analysts who join the forums and sift through the terabytes of data for useful nuggets. This direct access to the forums requires fluency not only in written Mandarin but in Chinese Internet slang, which is so pervasive — and unintelligible to outsiders — that the Chinese government has banned its use in official documents and on college applications. “You really have to follow it a while to understand it,” says “Feng,” a U.S.-based Chinese forumer, whose native language is Mandarin. To be truly useful to a global audience, much of the raw material on the forums needs to be translated by Chinese forumers who also speak English. Many of these translators are Chinese men working or studying abroad. John includes himself in this group. It’s the translators’ work, often filtered a second time through Western websites, that most obviously feeds the U.S. defense establishment. The Pentagon sometimes ignores initial postings in Chinese, instead waiting for the translators to supply data on a new weapon. The jet fighter’s Internet debut perfectly illustrates the complex relationship among the different breeds of Chinese forumers, and between the forumers and Western observers. On Dec. 22, 2010, a forumer named Hui Tong plucked the very first public image of the J-20 prototype from an obscure Chinese forum and posted it on Top81, one of the biggest and most respected Chinese military forums. But days would pass before that photo reached a wide Western audience — and weeks before the Pentagon accepted it as authentic. The photo was blurry, snapped through trees and at a distracting angle — probably the product of the photographer’s using a cellphone camera while driving outside the airfield’s security fence, trying not to be noticed. 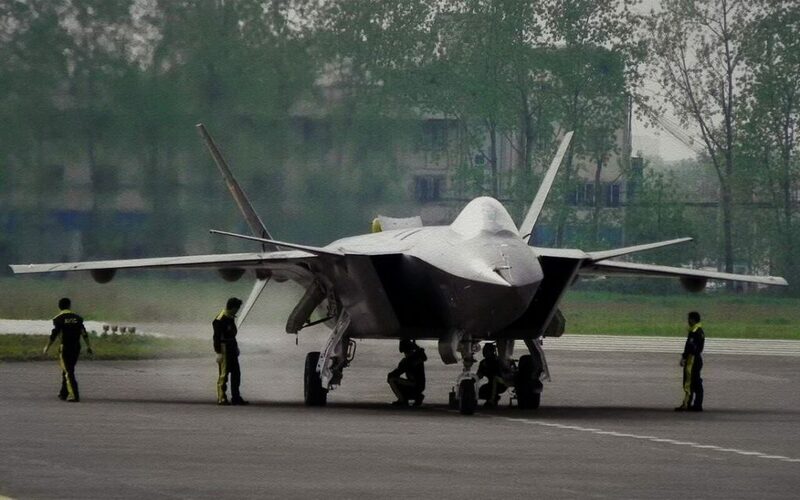 The J-20 was depicted apparently taxiing slowly rather than flying. The debate continued for three days. Then, on Christmas Day, Bill Sweetman, a military-aviation reporter for Ares, the defense technology blog of Aviation Week, reposted Hui Tong’s J-20 photo, significantly upping its credibility factor. Two days later, Sweetman reposted another photo of the still-nonflying J-20 — this one published by John on China-Defense Forum after first appearing on another forum. The Western Internet community was still days ahead of the traditional media and the U.S. government. The first major news outlet to run the J-20 story was The Wall Street Journal, on Jan. 5, 2011. But that’s apparently exactly what happened. 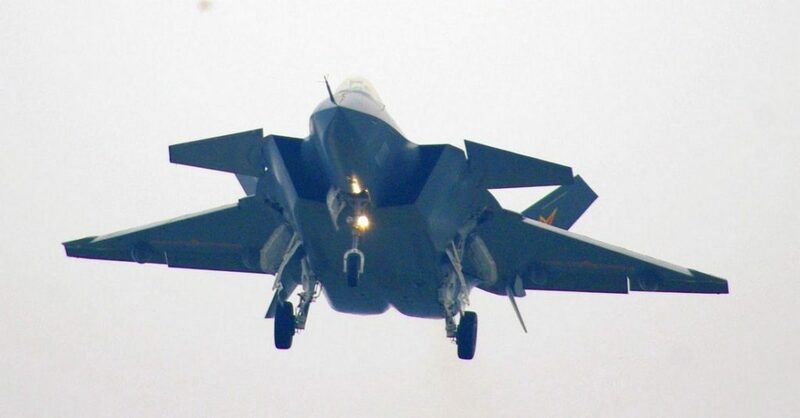 In January 2011, Vice Admiral David J. Dorsett, then the Navy’s director of intelligence, told Aviation Week that the Pentagon knew the Chinese were working on the J-20, but it seems that it had no idea the plane was ready for testing until photos worked their way through the forumers, translators, and Western bloggers. “We have been pretty consistent in underestimating the delivery and initial operational capability of Chinese technology and weapons systems,” Dorsett admitted. Even with hundreds of billions of dollars’ worth of satellites and other spy gear, Washington still can’t peer inside buildings in another country or read the minds of foreign officials, scientists, and engineers to predict the emergence of new technologies. A young man with a cellphone camera and an Internet connection can take the U.S. intelligence establishment to school. In other words, the Chinese military is developing fast—too fast for the Pentagon to keep up. With their many eyes and ears, and their 24/7 schedule, the forumers are in a better position to tap the constant stream of new information. “Chinese forumers and bloggers do not seem to be aware of how influential they are,” “Bob,” a Chinese-born forumer in his 40s who now lives in the U.S., told me in an email. Beijing, on the other hand, does seem to appreciate the forumers’ influence. In a possibly shrewd and exploitative way, the Chinese Communist Party may be using the forumers to selectively “announce” China’s military developments, with the aim of stoking Chinese nationalism, projecting an image of strength to the world, and at the same time, satisfying Western demands for more and better information on the Chinese army without having to provide it themselves — for reasons, as with most everything having to do with the PLA’s decisions, that are unique to China and the subject of informed speculation. That seems especially true considering the timing of the J-20’s first flight. After more than two weeks of ground testing that was thoroughly albeit inexpertly documented by forumers, the J-20 took off for the first time on Jan. 11, 2011 — an event also recorded by the forums’ amateur photographers and videographers. The flight coincided with a visit to Beijing by U.S. Defense Secretary Robert Gates, who just two years earlier had assured an audience at the Economic Club of Chicago that China would have “no fifth-generation aircraft by 2020.” He was off by a full decade. According to Gates, Chinese president Hu Jintao vehemently denied that any message was intended. “I take President Hu at his word. … The test had nothing to do with my visit,” Gates told reporters in China. But there are good reasons to believe it did, and moreover to believe that much of what happens on Top81 and the China-Defense Forum and their ilk serves the subtle purposes of the world’s last great oligarchy. It’s possible that Beijing is using the forumers to help boost the Chinese government’s image at home and abroad. After all, governments walk a fine line between military secrecy and feats of strength. For most nations, rival states are the intended audience of military displays. But for China, the showcasing of new weaponry also serves to remind the Chinese people of the government’s power, according to Jeffrey Wasserstrom, a professor at the University of California, Irvine, and the author of China in the 21st Century. For the Chinese, military demonstrations can be both unifying and pacifying. “Military modernization is one of the very few issues in which the central government has near-universal support from the Chinese people and even the overseas Chinese community,” John says. At the same time, the rolling out of a new weapon serves to remind a sometimes restless population of the consequences of democratic movements such as the one crushed in Tiananmen Square in 1989. So why not simply announce new weapons developments through official channels, like the U.S. military and most of the rest of the world’s armies do? Here is where the other shoe starts to drop. Like most authoritarian regimes, Beijing is obsessed with official secrecy. At the same time, China’s enormous size and wealth, and its perceived regional aspirations, make it a particular concern for other governments. The world craves information about the Chinese military that the military isn’t comfortable providing on its own. “Allowing the blogger community to expose PLA weapons developments at an early stage could be an indirect way of alleviating Western concerns without official transparency,” John explains. That means relaxing the state’s grasp on the military forums — though not totally. China’s censors monitor the military forums, but they rarely intervene. Forumers get in trouble “only if they delve too deep into sensitive political matters,” Bob said. And, in fact, Chinese censors are known to delete forum posts that don’t sync with the PLA’s schedule for rolling out new weapons. The J-20 might have made its online debut earlier if not for the efforts of the Public Security Bureau. Rumors hint that photos of the new warplane surfaced, briefly, before Dec. 22, 2010 — but were yanked by the censors. It appears that the PLA plotted the J-20’s unveiling so that rising anticipation culminated in the plane’s first flight on Jan. 11, 2011 — right in the middle of Gates’s visit. Provided that their timing is right, then, many forumers apparently do Beijing’s propagandizing work. They either don’t realize or don’t care that their hobby could serve the government’s ends. A few forumers do, however, reportedly collude consciously with party operatives, echoing government statements in their own, supposedly spontaneous posts. Some are even allegedly on Beijing’s payroll. “The people that carry out this effort are commonly referred to as the ‘50-Cents Party,’” John says, named after the amount of money they receive for each Internet message. Some degree of government involvement is apparent in the months-long trickle of photos and videos that brought the J-20 out into the open. One prominent China-based forumer, who goes by the pseudonym “Snowhole,” believes the PLA was directly responsible for planting the first images of the new jet fighter. “Some of the early photos of J-20 came from within the CAC’s Chengdu compound,” Snowhole told me in an email, referring to the Chinese aerospace conglomerate, the Chengdu Aircraft Industry Group. While Snowhole’s suspicion is well founded, it’s equally possible that the first photos and videos taken of the nonflying J-20 in December 2010 were the product of enterprising forumers acting on their own. But by the time of the jet’s first flight on Jan. 11, 2011, PLA officials were likely coordinating the Internet chatter. “They apparently alerted a group of bloggers around the Chengdu military airport about the impending flight and encouraged them to cover the flight,” Bahukutumbi Raman, a former Indian intelligence agent now working as an analyst with the Chennai Centre for China Studies in Chennai, India, wrote on his blog. “Chinese authorities … used the same procedure” for the J-20’s second flight on April 17, 2011, Raman added. That much is obvious from stories appearing in Chinese state media. In January and April, China Central Television broadcast amateur videos of what it called the “mystery jet.” Global Times, a semiofficial tabloid, even quoted forumers describing the “alleged” second test of the new plane. That could explain why Star Not’s dramatic video, uploaded to Youku in April, wasn’t promptly pulled by the censors — and could also account for most if not all of the appearances of the J-20 published after Dec. 22, 2010. It’s possible that censors rarely meddle with China’s thriving military forums not because the forums aren’t revealing military secrets but because they are. While a hint of Big Brother seems evident in Beijing’s apparent manipulation of the forumers, an equally positive interpretation is also possible. The forumers open one of the few windows into the notoriously opaque Chinese military. This assuages Western governments that have long clamored for more and better information on Beijing’s strategic intentions, buying time for the Chinese Communist Party and the PLA to gradually adopt more open practices. China’s accidental spies might also be its accidental diplomats. Originally published in Pacific Standard.